Enjoy an evening of world-class music with delicious food, Hermann J. Wiemer wine and an assortment of desserts. The program will feature Geoffrey Herd, violin; Hannah Collins, cello; and Zahari Metchkov, piano. They will perform Clara Schumann's Three Romances for Violin and Piano, Caroline Shaw’s In Manus Tuas for solo cello, Rebecca Clarke’s Piano Trio and Brahms Piano Trio in c minor. A silent auction will offer unique Finger Lakes gifts and experiences. Cost is $65 per ticket. For questions, please call Fran Herd at (315) 326-1951 or email info@GenevaMusicFestival.com. ATLYS is a classically trained, crossover string quartet comprised of four women: violinists Jinty McTavish and Sabrina Tabby, violist Rita Andrade and cellist Genevieve Tabby. They'll use the string quartet as a blank canvas as they present Strum by Jesse Montgomery, as well as innovative reimaginations of works by modern female pop artists from around the world, including Sia, Bjork, and Beyoncé. See and hear a sample of their work online. Please note: because this is a pre-season concert, it cannot be included in either the season or six-ticket packages. Program subject to change. The Verona Quartet will join the Geneva Music Festival for the 2019 Season's opening night, Thursday, May 30. Featuring Jonathan Ong and Dorothy Ro (violin), Abigail Rojansky (viola) and Jonathan Dormand (cello), The Verona Quartet has established itself as one of the most sought-after string quartets of its generation. 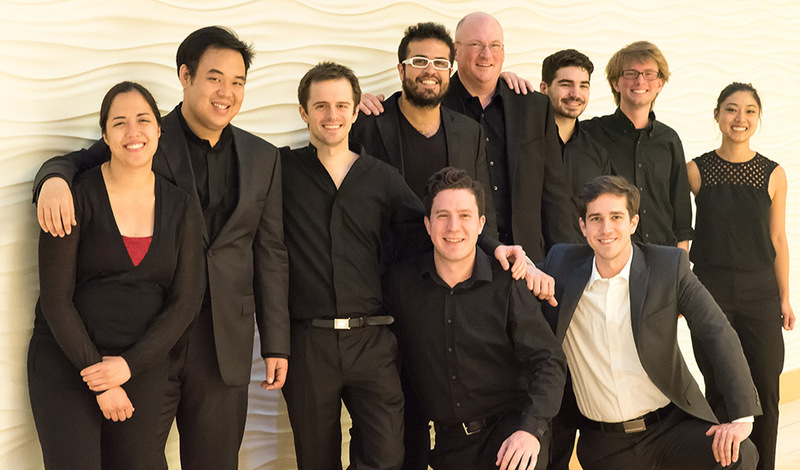 Since winning the 2015 Concert Artists Guild competition, the quartet has performed around the globe with an emphasis on progressive programming and collaboration. In this concert, the Veronas bring a program of music written by female composers, including Kelly-Marie Murphy Dark Energy and Julia Adolphe Star-Crossed Signals. In the second half, they will be joined by GMF favorites Jinjoo Cho (violin) and Michelle Cann (piano) for Chausson’s expressive and virtuosic Concert in D major, Op. 21 for violin, piano and string quartet. Program subject to change. Clara Schumann was considered one of the finest pianists of her day, performing all over Europe to great acclaim. She was also a composer, although her compositions were virtually unknown until the latter part of the 20th century. We'll explore her deeply expressive music, as well as works by two of her primary influences, Bach and Brahms. This includes J.S. Bach Selections from Goldberg Variations, Clara Schumann Piano Trio in G minor and Brahms Sextet in G major, Op. 36. Concert features: Geoffrey Herd, Jinjoo Cho, violin Michelle Cann, piano Abigail Rojansky and Eric Wong, viola Max Geissler and Jonathan Dormand, cello Program subject to change. This concert features female composers spanning nearly 10 centuries. Hildegard von Bingen is the earliest known female composer. Born in the 11th century, von Bingen was an Abbess, philosopher and visionary. She is recognized as a saint by the Roman Catholic Church. An arrangement completed for the Kronos quartet will transport the listener into the landscape of early liturgical music. Jumping forward, the audience will experience the youthful exuberance of Fanny Mendelsohn, Felix’s little sister. While her compositional output and skill was neglected due to her gender, we are lucky to still have access to a masterful string quartet written during her teenage years. The concert also will feature the third part of Jennifer Higdon’s Piano Trio (the first two parts of this work were performed at GMF in our 2016 season). To conclude this exciting program, GMF artists will perform Felix Mendelssohn’s virtuostic and rarely heard Sextet in D Major with Bass and Piano. Artists in this concert include: Geoff Herd and Eliot Heaton, violins Hillary Herndon, viola Max Geissler, Hannah Collins, cello Justin McCulloch, bass Esther Park, piano Program subject to change. Enjoy an evening of jazz and food at Club 86! After a successful GMF debut as part of T.S. Monk’s ensemble in 2018, April May Webb and Randall Haywood return with their own ensemble, S.O.A.R. The couple will share their unique synthesis of swing, cool, hard bop, and avant-garde jazz. S.O.A.R joins a distinguished legacy of jazz at Club 86 that includes Ella Fitzgerald, Sarah Vaughan, Louis Armstrong, Nat King Cole, Tony Bennett, Lionel Hampton and Dizzy Gillespie. Club 86 will offer an optional pre-concert, three-course dinner starting at 6 p.m. for $30 (tax and gratuity included). Entree choices include strip steak, salmon, chicken and vegan stuffed peppers. Call Club 86 at 315-789-4955 or email events@club86events.com for dinner reservations and best view of the stage! Program subject to change. Get ready for an evening of legendary jazz that pays tribute to artists in the National Women’s Hall of Fame. GMF favorite and Broadway star Syndee Winters will be joined by jazz singer, songwriter and actress Ann Hampton Callaway, with a guest appearance by S.O.A.R. (April May Webb and Randall Haywood). Program subject to change. The chamber music finale features Geoffrey Herd and Shawn Moore (violins), Clive Greensmith and Hannah Collins (cellos), and Esther Park (piano). The program opens with a work inspired and dedicated to Beethoven’s patron Countess Marie von Erdody, the exceptionally beautiful and exciting Piano Trio in E-Flat Major, Op. 70 no. 2. Geneva Music Festival’s chamber music season concludes with two blockbuster works by female composers, the epic Lyre of Orpheus sextet by Pulitzer prize winning composer, Shulamit Ran and the lyrical and melodic Piano Quintet by Amy Beach. Program subject to change. Great music, great food, great drinks, and beautiful scenery! Come helps us celebrate the end of our festival with Rebecca Colleen and the Chore Lads beneath the tent at Geneva On The Lake. Rebecca Colleen McDonald and her band are Finger Lakes favorites and the ambiance at Geneva On The Lake is second to none.